If you did not hear last week we released our Ping-O-Matic integration and have been getting some good feedback from our clients. This week we are happy to update that we have released another sharing tool to Umbrella CMS extension features list. RevSocial is an online marketing platform that enables you to attract customers utilizing their automated cross-platform engagement tools, while gathering insight from your social, website and email communities. They give you the information to convert your business' visitors into paying customers. Why is this integration helpful to Umbrella CMS blog extension? As many business owners and marketers know that writing a blog is half the battle. Sharing your blog and letting the public know that you have new content to read is just as important. Looking for web development or online marketing help and want to speak to one of our consultants about how it will help your business grow... contact us, today! Cornerstone Content is a key component to today’s content marketing strategies, as businesses use their websites and blogs to demonstrate their own expertise. Publishing powerful cornerstone content helps your business sell its services and builds your status as an expert. Your trusted network isn’t delivering the same opportunities to keep you going anymore. You are an expert in what you do and know and there are clients out there who would really value your assistance. For the past ten years, the web has transformed buying behaviors. In the past, if a potential client wanted information on your services they would call your office and engage you or one of your sales team to better understand your services or offerings. Today, the first place a client looks is usually the internet. They’ll search Google, check out websites where they expect to sign up with their email for article updates or follow your social media feeds to find out more about your company. As you can see potential customers are looking to see who they can trust to solve their problems. And by now you know that your clients are in control and you’d better make sure that the information you publish about your company answers their questions. You must position yourself as “the trusted resource” they seek. On the internet, effective marketing is all about creating cornerstone content and sharing this content across the web. Answer their problems and open their eyes. When you create and distribute this kind of relevant and compelling information, you will help turn browsers into buyers and buyers into long-term customers. Create the type of information your buyers actually want to consume. Marketing with quality cornerstone content is a win-win for your company and customers — your potential clients get the information they require and you get to demonstrate your expertise and usefulness to them. Cornerstone content will help you sell. It helps your ideal clients find you and makes it easier for them to buy from you. 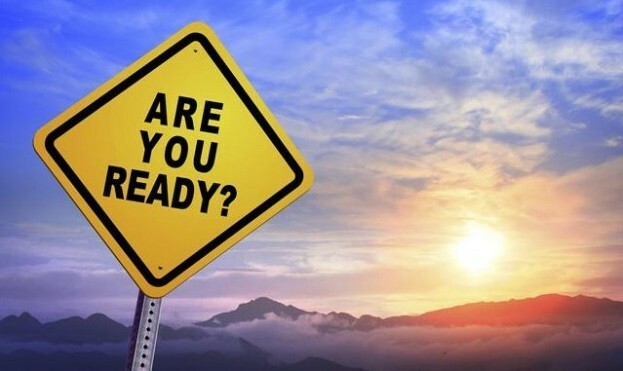 It’s an opportunity to position your company as the “go to” place to turn to when the time comes to buy. If you want to reap the rewards that cornerstone content brings you need to start communicating differently. Understand that there are different rules of engagement. This method is truly customer-centered. Creating content that is genuinely useful to your customers, makes your services or products indispensable. Creating and consistently delivering this type of information takes a good amount of effort. You will need to build a deep understanding of the needs of your target customer base and where and how you can add value. Cornerstone content may not be easy but it is an essential tool if you are going to continue to grow a successful business in today’s web-driven world. Ping-O-Matic is a service that updates different search engines that your blog has updated. Why is this integration helpful to Umbrella CMS’ Blog? As many of you know creating quality content is an essential step in growing your business in today’s web driven world. However, if search engines do not know that you are creating your quality content and you are continuing to create quality content then how are your potential customers supposed to know. At Umbrella CMS, we understood that search engines choose when they are going to visit your website and whether or not to index it or even rank your articles or not. We knew that the quicker we were able to let the search engines know that you have updated your content, the quicker you content would be indexed and your articles ranked faster. How do I make sure that my blog has this feature? In your Blog Module... Click on "Settings"
You will then scroll down to the section "Posts" and you will click "Pingbacks/Trackbacks enabled" Don't forget to hit the "Save" button. Once "Pingbacks/Trackbacks are enabled what now? Write your cornerstone content and hit the "Publish" button. You will receive a notification on the website that your blog has notified Ping-O-Matic and the other ping services that we have integrated with to push your content!!! Now all you need to do is enjoy your new found traffic without all of the SPAM!!! At Umbrella Consultants we help brands grow their online presence daily. Don’t be shy contact us and speak to one of our experienced marketers or see how our development team will help create the right face for your business online. Our specialty is putting your business in a manageable box so you can get back to your day to day operations. You likely already know that a content management system can give you the tools to create your own beautiful and function website. Almost all of the very best blogs and websites you visit every day were created and are managed using content management systems. With a CMS, you can retain full control over the design, structure, and function of your site without learning any programming, coding, or web development. You can also get access to support and a lot of really great tools, all at a much lower price than you’d pay a web designer to do the same job for you. Did you know, though, that your CMS can actually improve your productivity in a number of different ways? In addition to freeing up time that you’d otherwise spend banging your head against the wall trying to learn to code, a good content management system like Umbrella CMS can do a lot more for your productivity than you may ever have thought possible. Here are just a few of the ways your CMS can help you and your business. With your CMS, you can maintain control over who posts content and when. Why does that matter for your productivity? Imagine having a website where all of your contributors can post content whenever they like. Which means that suddenly, you find yourself reading back through thousands and thousands of words of unedited and redundant content that a contributor has written. Then, not only have your viewers and customers seen the potentially shoddy and repetitive content your people have posted, but you also have to take extra time to go back through, edit what can be salvaged, and delete what can’t. This is, of course, a fairly extreme example, but you can see how limiting access and controlling when content is published can be a huge boon for your brand image. When you use the tools and applications that your CMS provider offers, you’ll get more effective and functional features on your website. Viewers and customers will easily be able to find and navigate your site and your content. They’ll also easily have the means to contact you and/or purchase products or services from you.With tested tools and features like these, you’ll never have to worry about losing messages or orders due to a glitch in your code. Instead, you’ll have more customers contacting you, more orders going through, and more overall business and traffic. Finally, if you need to make a change to your site and/or add content quickly, it’s both simple and easy with a good CMS. And you won’t have to worry about the domino effect of making one change and then having to make several others to maintain the aesthetic and function of your site. It’s all built in, and you can do it all quickly, easily, and effectively. To see how much a good CMS can improve your productivity, schedule your demo of Umbrella CMS today. Local listings can do a lot for your business. Essentially, they make it easier for Google to determine that your business is real and legitimate. In turn, Google then gives you a better ranking in search results, and your potential customers can find your site more easily. For local listings to really help you convert leads to sales, though, you need to know how to effectively post your information. If your information is accurate and posted effectively, your site will appear higher in SERP (search engine results page) rankings. If you’ve written effective, SEO-friendly content and meta content, then users will be even more likely to click on your site than other results. Then, if you’ve implemented a good online marketing strategy, you should have the content, images, and media on your site to draw your leads in and convert them to customers. For this to happen, though, you need to ensure that the information you post is accurate. It’s easy to get sloppy and make typos when you’re entering your information into multiple sites. It’s repetitive work, and it can be difficult to catch every small mistake if you’re doing it all by hand. If you go the manual route, be sure to stay on top of proofreading every entry you make. Believe it or not, you can actually confuse Google by entering different info in different listings. The search engine may read this as multiple companies instead of multiple listings for the same company, which can result in your SERP rank taking a big hit. Duplicate listings provide another obstacle when driving traffic to your site and converting leads to sales. If you need to update your contact information on a listing (in the event that you move, change phone numbers, etc. ), you may have some issues with your local listings. Some sites make it easier than others to edit and update your information, while others make it a little bit too easy to accidentally duplicate your listing. If your business ends up listed twice with conflicting information, it can confuse both search engines and potential customers. Likewise, listings with old information won’t help your search results and can actually hurt your rankings, as well. If you make sure that your listings are always up to date, accurate, and that there are no duplications, then you’ll be able to get the most benefit from your local listings. If all of that sounds like a lot of work, it’s because it is. Fortunately, though, you don’t have to manually enter your data into all of your local listing sites. Just list and manage your company info with Outer Banks Concierge, and you can have it automatically pushed to all of the biggest listing sites and data aggregators online. And, if you need to make updates, just let Umbrella Consultants know, and those will be taken care of for you, too. You don’t have to spend hours and hours dealing with local listings to convert more leads to sales – just choose the right listing management service, and everything will be done for you. Try Outer Banks Concierge's listing management service today and see how quickly you can get better results for your business. So you’ve decided to use a content management system to build and run your website. You know that using a CMS will help you create a beautiful and functional site without paying exorbitant rates to a web designer and without sinking hours upon hours of your precious time into learning to code a dynamic site. However, have you considered what you should be looking for in a CMS and how you’ll choose the right one for your needs? Choosing the right CMS can be difficult. Every service out there seems to claim that they have the best designs and templates, along with the most complete customer service and care. Some services are free, and some are paid, and the paid services you’ll find vary in price. As you look at all of the options and features, it’s easy to feel entirely overwhelmed. That’s why, before you begin your search in earnest, you absolutely must know what you’re looking for. That means that you need to have a clear idea of your goals for your site, whether you’re creating it for personal or business reasons. You’re going to have very different needs for a wedding announcement site than you will for an ecommerce site, and the wrong CMS can set you way back. List the features that you want and need for your site to make it aesthetically pleasing and functional. Now you are ready to start looking at your Content Management System options. Once you’ve found a few CMS providers that have the features and tools you want at prices within your budget, take a look at their support and security. How well do they test their products before they make them available to customers? Do they provide ongoing support after you’ve created your site? Will their CMS be able to grow with your site as you gain more followers and/or customers and as you need more functionality? Now, if you’re not starting from scratch, you’ll also want to ensure that your CMS can be integrated with your existing content, data, and site(s). Otherwise, you’ll need to be prepared to throw what you already have in the trash and start over completely. Likewise, you may find that down the road you’ll need to integrate other systems with your site as your business grows. Consider integration for your future, even if you don’t need it right away. Finally, always try before you buy. High quality content management providers like Umbrella CMS will offer free demos to let you play with all of the tools and features of their product before you commit. If you’re looking at a CMS that requires you to pay before you play, then you really should just walk away from it entirely. There are better options out there, and you want to make sure that you choose the one that’s most suited to your needs. Want to demo Umbrella CMS today to see if it’s the right content management system for you. Getting local citations (mentions of the name of your business, along with contact, website, and address information) is a great way to drive more meaningful traffic to your website. In fact, citations can actually drive more traffic to your site in a couple of different ways. First, people who are actively searching the listings and data aggregators that cite you will find your contact information. Second, and better yet, Google and Bing both use citations to determine which sites get the highest ranks on their SERPs (search engine results pages). Of course, you already know that citations are good for your search engine optimization (SEO). You’re wondering how you can get more citations and increase your rankings and traffic. Here are a few ways to get more citations for your business and your site. First of all, you probably don’t have a lot of extra time on your hands, right? So the idea of manually entering your business’ information into big data aggregators’ sites and business listings probably sounds like a pretty terrible chore. Well, yes, it is, but you don’t have to do it yourself. With a listings management service like the one offered by Umbrella Local in partnership with Outer Banks Concierge, you can get it all done for you. Just supply them with your company’s name and information, and they’ll push that info to the largest, most trusted business listings, directories, and aggregators online. The best part about a service like this is how easily you can manage your listings. Not only can you get your information pushed to all of those sites and apps with just one step, but you can also make changes to your company’s information whenever you want. Then, Umbrella Local Listing Management Service will make all of your updates for you. It’s simple, and it could be the easiest way around to drive more traffic to your site. In addition to automatically getting citations on large listings and aggregator sites, though, you can also reach out to local blogs and online publications that are relevant to your business. If you don’t already have one or more publications in mind, search for “[your area] [your industry] blog.” Then you can send them information about your business. If they have local business listings, you can get added to these, or you could even get your citation in a blog post or article. Industry blogs and online magazines are often given more weight by local search engines than other sites, so this kind of citation can be hugely beneficial to bumping you up a few places in search rankings. Expert citations and features aren’t just great for SEO, though – they’re also great for building up your reputation in your industry. Between automated listing management through a service provider like Umbrella Local in partnership with Outer Banks Concierge and reaching out to relevant local blogs and publications, you can do a lot to get more traffic, more leads, and more conversions for your business. Speak with one of our Umbrella Local consultants and see how we can help makes a difference in your Local Citation Marketing Strategy. Last Monday we discussed 3 Tips to Share Your Cornerstone Content to the World. This is Post #5 of 5 in our 5 Steps to becoming Great at Online Marketing... Enjoy!! Good content attracts visitors, but great content keeps readers engaged. A good content marketing strategy must deliver the right content to the right person. Ensuring that your content marketing efforts are effective, you need to understand the data that relates directly to your content. Sharing your content is imperative to the success of your content marketing strategy but just as important is being able to understand the data. Your business should be utilizing analytic tools that enable you to glean valuable insights into how you should focus these efforts and where your content is gaining traction. Knowing where the majority of your traffic is coming from be it social, search engines or other types of websites can help you identify the channels that are best utilized to engage prospective customers. Creating high-quality content goes a long way towards increasing the engagement and distribution of your content but your content should also be optimized for lead generation. Understanding who your readers are allows you to tailor your content to solving your readers specific problem which results in higher engagement—and, better yet, higher conversion rates. Also, when you continue to analyze your content’s performance over time, you can constantly improve — drawing in more traffic, more engagements, and more conversions and customers. Content Marketing… Can it lead to business growth? Most businesses create content as a way to generate awareness and position themselves as thought leaders in their niche. However, you must remember that the ultimate goal of your content marketing strategy should be to drive business growth. Gaining insight into the metrics that are indicative of your contents' performance while being able to answer with compelling data, like number of leads generated is a strong KPI that can help guide your creation and distribution strategy. Having your data at your fingertips in a visual format will help you get to the bottom of issues that need resolving, as well as identify big opportunities you may be missing out on. Increase your creation of certain niche-related content posts. Consider creating more content on one subject, as that subject seems to be a topic that brings in higher than average interactions, with less competition. Even though these are fairly simplified examples, but even from insights such as these you can start to draw out some insights that may make all of the difference in generating engagement from your content. By constantly scrutinizing the wealth of data you now have at your disposal, your business can create a robust plan that can refine key components of your content marketing strategy --- while making it stronger and one that everyone can believe in. Last Monday we discussed Create High Quality Content, better yet create Cornerstone Content. Publishing the right cornerstone content is a big part of the process of being successful with online content marketing. Now that you have published your content, you will need to allow your content to gain its maximum exposure. Adding social sharing buttons for sites like Twitter, Facebook, LinkedIn, and Google + is a great way to encourage your site visitors to share your content in social media. Add these buttons to every landing page, web page, blog article, and other piece of content you create. Even though your customers and newsletter subscribers are expecting information from you, you must continue to provide high-quality content that solves your readers’ problems. By sending a link to your published content early -- your valued customers and subscribers have the option to read and provide feedback and comments for your content. Obviously, good feedback is not only validation for you as the author but if the person commenting is an "influencer" in your niche, it can show new readers that your content is worth reading. Review your content and pull out at least 10 snippets that will entice your social media community to click on the link to your content. Your piece of content should produce 10+ snippets that you can share on your social media streams. Utilizing your snippets, should enable you to share your content for several weeks across all of your social media streams. So where you choose to promote your content helps to define the measurable success of gaining traffic and exposure of your brand and business. In next weeks post we will discuss Content Marketing and Your Data Insights. Last Monday we discussed "Understanding What and Who You are Marketing For"
This is Post #2 of 5 in our 5 Steps to becoming Great at Online Marketing... Enjoy! You do not have to be a great writer to become a great online marketer. Remember in our first post, Understanding What and Who You Are Marketing, in our 5 part series, 5 Steps to Becoming A Great Content Marketer, we gave you a quick exercise that you could use to clarify why you are in business and what problems you solve with your business. Now, that you have better clarity in your company’s messaging throughout your marketing strategy, you will want to create content that closely resembles the vocabulary of what your community will be searching for. You want to really get in the heads of the people that are searching for your website and the product or services that your business provides. What terms will people use? How do people search for my business? The following is a tool and a term that you will need to keep in mind when preparing content for your business' online growth. Do not worry about the search volume data unless you are going to actually spend money and utilize those keywords to advertise (PPC, adwords, etc…). These search results are known as “head terms”. What are long tail keywords… Are they worthwhile? Long tail keywords are longer keyword phrases that are more specific and are actually what people are searching for, this is why you want to get into the heads of understanding your potential customers that are searching for your products or services is key! Did you know that long tail keywords are much easier to rank for. People who search by using long tail keywords... are farther along in their buying process and are more likely to purchase from a long tail keyword search. As you can see, it’s imperative to take a mindful approach to your business’ content marketing strategy. You must gain clarity on what your marketing message is and to whom you should be conveying that message. You need to research and figure out which keywords and long tail keywords you want to utilize. You must understand how SEO plays a pivotal part in your content strategy. The next 5 Monday's we will be sharing a blog series covering "5 Steps to becoming Great at Online Marketing"
This is Post #1 of 5... Enjoy!! Are you new to online marketing? Are you wondering why your website or ecommerce site is not getting the traffic you want? Do you understand what you are marketing? Obviously it is your business or brand -- But do you really know how to convey that to your visitors... Do you speak in a voice that they will understand? I have a quick exercise for you that will give you insights into your customers and the voice that you can best relate to their needs and wants. Take a few minutes and answer these questions about your business, your hobby or idea. A software that is easy to use, allows them to market and share their content to their visitors & customers, while enabling them to make better business decisions from their data. I believe there are many tools out there to market your business but not one that has all of the tools in one platform that is economical for small and medium sized businesses or agencies. By developing tools that we utilize to develop our own scalable growth, then sharing with our many clients. And this is why my business partner and I created RevSocial. We wanted to create a software that is easy to use, allows you to market and share your content to your visitors & customers, while enabling you to make better business decisions from your data. We understood that there were many tools to help you market your business but not one that has a lot of the tools in one platform; that is economical for small & medium sized businesses or agencies. However, by developing the tools that we utilize to ensure our own scalable growth, we are now able to deliver a platform that our clients could utilize as well. We enjoy helping small businesses to market their businesses the right way with the right tool set! The best thing about this little exercise is that what you plan on becoming known for ends up being so specific that it creates a very specific content path to follow. Don’t worry about pigeon holing yourself in the beginning—because following these next few steps you will see how you create a sustainable content path as you grow. Over the next few weeks, I will give you a few steps that you can follow to get started on the right path to becoming a better online marketer. Imagine, for a moment, that you’re sitting in a waiting room. You know that you’re going to have a few minutes to kill while you wait on your appointment, so what are you doing? You’re probably scrolling through social media feeds or browsing online on your phone or tablet, right? So why aren’t you concerned about mobile technology for your website? According to a recent Pew report, 42% of adults in the United States own tablets, and 32% own e-readers. Furthermore, 90% of American adults own cell phones, and of that 90%, 63% use their phones to go online on a regular basis. If you do the math, that means that almost 57% of all adults in America are using smartphones to go online on a regular basis. With an overall population of nearly 250 million adults, that means that – in the US alone – there are almost 140 million adults going online with mobile tech. Now, you might be wondering, “Why does it matter if my audience is looking at my site on their phones, tablets, or computers?” If you go to your website on your laptop or desktop, you’re likely to see a beautiful layout that’s easily navigable. Is the same true if you’re on your phone? With a non-responsive web design, your site will look exactly the same on your phone or tablet as it does on your computer, but shrunken to fit the screen. To navigate, your audience is going to have to do a lot of pinching, swiping, scrolling, and zooming, and they’re going to get frustrated really quickly. With responsive web design and other mobile-oriented design features, your content won’t be shrunken to the size of a postage stamp when your viewers and customers visit your site on their phones and other mobile devices. Navigation is easier, and they don’t have to do all that pinching and swiping to see the content they want to read or to check out the products they want to buy. With the right CMS, you won’t have to worry about how your site looks on mobile devices because your design template will already be responsive and mobile-ready. When you create your site, you can look at it on any size screen and see a user-friendly, attractive site that will give your customers the experience they want. As you plan your marketing strategy and build your website, make sure that you have mobile technology cemented in your plan. Those numbers we cited earlier are already high, and they’re only going to continue to rise in the future. Stay ahead of the game, and choose a CMS that will account for all users’ experiences with your site, no matter what devices they’re using. For a free demo of a CMS that will provide you with an attractive and responsive site across all kinds of devices, check out Umbrella CMS today. 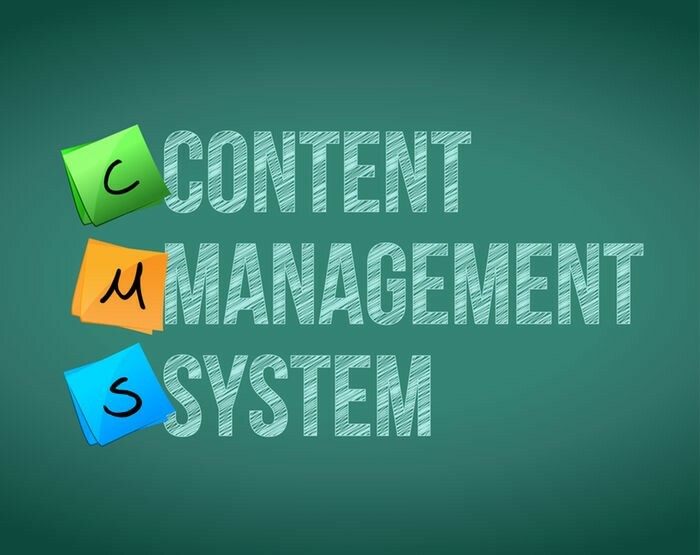 Content Management Systems – What Are They? And Why Do You Need One? Do they even use HTML anymore? What kind of code am I going to need to embed a shopping cart and checkout system? If you continue down that line of questioning, you’ll quickly convince yourself that you can’t design or create your own website and that you’ll need to hire a web designer and/or developer if you want to get anywhere. Whether you’re creating a personal or business site, chances are good that you don’t have the money to throw at a professional web designer to get your site launched. Fortunately, though, there’s an easier, more affordable way, and you don’t have to learn any code to do it, either. Instead of creating a website from the ground up, you can choose a content management system (CMS), like Umbrella CMS. With a good CMS, you will have a variety of choices of website templates to choose from. Then you’ll be able to customize the template you choose to completely personalize your site. The result, in the web design phase of creating your website is a site that’s fully functional and beautifully designed. And, because you make all changes through your content management system’s interface, everything is very intuitive and doesn’t require you to learn any coding or programming. A good CMS will allow you to publish and edit blog posts easily, upload images of items for sale, and create a thoroughly user-friendly and streamlined website. If you plan on updating your site regularly (and you should), then having a quality CMS is essential to improving your workflow. Instead of hunting through lines upon lines of code, you can drag and drop pictures and graphics, create new content, and more. And, if you’re concerned about security – as you should be – a CMS is the way to go, too. Essentially, when you choose the right CMS provider, they will take care of quality assurance on all of the products, applications, and elements they make available to you. You won’t have to worry about re-inventing the wheel or accidentally creating a security hazard for your site because all of that will be taken care of for you. Content management systems allow website owners to focus on what they do best. You’re creating a blog to get your thoughts out there and easily publish your writing, not to practice your HTML skills. You’re making an ecommerce site to sell the products you produce, not to find out how hard it is to securely take customers’ credit card information online. With the right CMS, you will have more time to focus on your business and your life, and you won’t have to worry about whether or not your website is working. Start a free demo of Umbrella CMS today and see how easy working to create and running your website can be. What’s the Big Deal About Local Search Citations? What Are They and How Can They Help You? If you’ve been paying attention to changes and trends in SEO (search engine optimization) lately, you’ve probably noticed people talking about local search citations. Unless you’re already familiar with local citations in the context of SEO and business, this term is probably somewhat confusing. To understand why local search citations are important to your business, you first have to understand what citations are and how they work. Whenever your business’ name is mentioned on a website that’s not affiliated with yours, even when there is no link back to your website, that’s a citation. If that mention is associated with your area or location, then it’s considered a local citation. Examples of local citations can include the Yellow Pages, Yelp, and other business listings, data aggregators, and directories. How Do Local Citations Help Your Business? Now, you may be wondering how citations like these can help your business, especially if they don’t necessarily include a back link to your website. Well, with or without those links, local citations are incredibly good for SEO. Basically, if two websites for similar companies have roughly the same keyword density, the same traffic, and the same quality content, both Google and Bing will favor the one that has more local citations on other sites. So, the more citations you have, the higher you can rise in search results rankings. If you’re neck-and-neck with one of your competitors for traffic, leads, and customer conversions, a boost in local citations could be all you need to get an edge on them. With most business listings and data aggregators, you’ll have to push your listing to them to get a citation. Doing this manually can be incredibly time consuming, but you might do it yourself because it’s worth it to you to get a head start on your competition and to drive more traffic to your site. However, what happens when you move locations? What if you need to change or add a phone number? Suddenly, you’re looking at doing all that work over again. Why? Because local citations really only work in your favor if all of the data about your company is accurate. This is where good local citation management comes in. When you find a good local listings management provider, you don’t actually have to do any of your own work on your local citations. Instead, you can just give them your information, and they will automatically push it to all of the appropriate sites and listings for you. Then, when you need to update your info, you can just let them know, and they’ll manage all of your updates for you. Umbrella Consultants now offers an easy way to control all of your business listings and local citations in one place. You don’t have to manually enter your company info over and over again, and if you need to make changes, you can do it once and trust Umbrella Local in partnership with Outer Banks Concierge to handle the rest. Get an edge on your competition with Umbrella Consultants and local citations for your company.